Explore the numerous day-trip ideas around Perth: Fremantle Prison (in Fremantle) and Caversham Wildlife Park (in Whiteman). 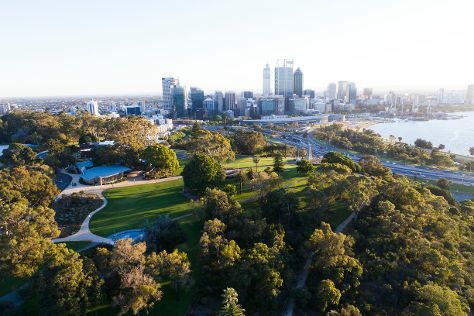 Next up on the itinerary: take in nature's colorful creations at Kings Park & Botanic Garden, kick back and relax at Cottesloe Beach, tour the pleasant surroundings at Scarborough Beach, and appreciate the history behind Kings Park War Memorial. To see other places to visit, where to stay, photos, and tourist information, you can read our Perth day trip website . If you are flying in from United States, the closest major airport is Perth International Airport. In March, daytime highs in Perth are 85°F, while nighttime lows are 61°F. Finish up your sightseeing early on the 6th (Wed) so you can travel back home.